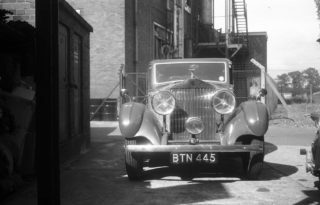 The British Rubber Producers’ Research Association, located in Tewin Road, was founded in 1938 to undertake research into the fundamental structures of rubber. As motoring became more popular, the laboratories were at the forefront of developing testing methods to evaluate tyre efficiency. In 1974, the laboratory moved to Brickendonbury. 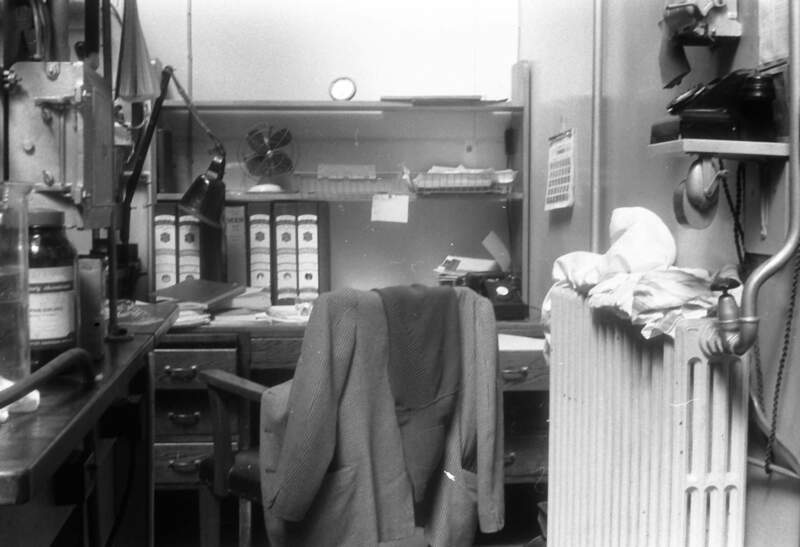 These pictures, taken by Colin Bell, show Dr Peter Allen in his laboratory. Did you work at BRPRA or know somebody who did? Please add your memories. This page was added on 11/04/2013. My father was Dr Barry Dickenson. I’m delighted to find this page and would welcome an email from anyone who might like to share reminiscences. I recognise the names of many individuals mentioned in posts on this page. I made an earlier comment about John Bolland\’s work at BRPRA in Tewin Road. In fact he published numerous papers during his time at the research association. We would be pleased to hear from anyone with a connection with BRPRA, NRPRA, as well as MRPRA and now TARRC. We have been based at Brickendonbury, Herford since 1974. I made a previous comment about John Bolland’s work at BRPRA in Tewin Road. In fact he published numerous papers during his time at the research association. Dr Bateman is mentioned a few times in this thread. Is he the WGC Cricket Club player of the 1950s and perhaps 60s ? Bateman was an exceptional batsman, played Minor Counties cricket for Herts. Actually, the more I think about it the more I think that the cricketer was called Les. I am the owner of the car registred BTN445. The first owner John Benson Bainbridge was a motorist driving all over europe. 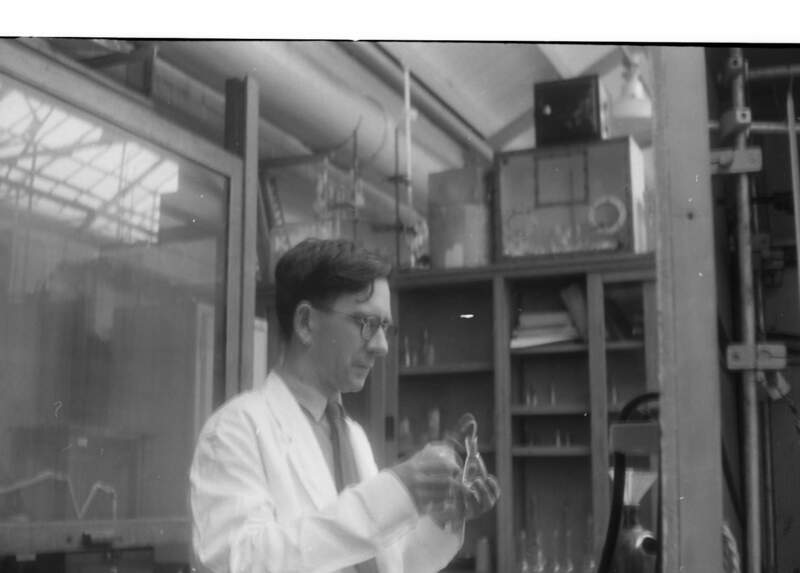 I worked at Tewin road from 1956 for 5 years for Dr Ceresa in the laboratory with Dr Bill Watson and Dr Bristowe. This was my first job and a very rewarding one. I had two good friends, Gilbert Jones and Jim Jay. I would particularly like to contact Jim. I do know that Gilbert died early. I was the person who started the BRPRA football team and still have the medal for winning the league cup. After moving on I went to SKF Labs and specialised in chromatography. I then worked for Hewlett Packard and Abbott Labs. I then picked up a scholarship to study for a PhD at the Australian National University in Canberra. 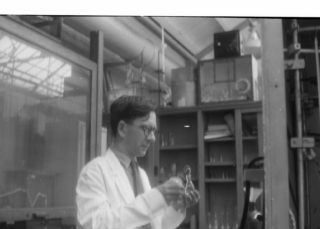 We stayed in Australia and I eventualy became Chief Chemist of the National Biological Standards Laboratory. I retired in 2005. Unfortunately I had a stoke a few years ago and finished up in a wheelchair. To James P. Ward, I’m Dr. John L. Bolland’s grandson. My wife just found this post while doing some research on my grandfather. Let me know if I can help. Referring to the previous post on this topic, we do have just one publication in our collection, dated 1948, by J. Bolland. I worked here in the library during the 1960s, it was my first job after leaving the WGC High School. One of my jobs was to take copies of specialist magazines and books to the people in the laboratories, and because I was so laden a supermarket shopping trolley was ordered to make things easier. I used to leave it in the corridors when I enterd one of the labs to deliver books, and would regularly emereg to find some prankster had hidden it. When I joined the company it was called NRPRA (Natural Rubber Producer’s Research Association).The director was L Mullins, and I remember so many people including Maurice Cain, Colin Bell, Dr McSweeney, Dr Dickinson. Mr Bateman & Dr Allen. The library was well-designed with plenty of large tables so that people could sit and study, lines of bookshelves crammed with scientific books (which always looked boring to me) and the dreaded ‘pamphlet boxes’ which were hard to reach and full of flimsy leaflets. The most popular book was just known as ‘The Bateman Book’, though it must have had a proper title, written by Dr Bateman, one of the respected staff members. I met my future husband Malcolm at NRPRA, he worked in one of the laboratories, & I left in the late 60s. I was hoping to find here some reference to Dr. John L. Bolland, a former pupil and medalist (1930) of Peebles High School, Scotland. His publications of the 1940’s give his working address as British Rubber Producers, etc. I’m still searching and hoping. 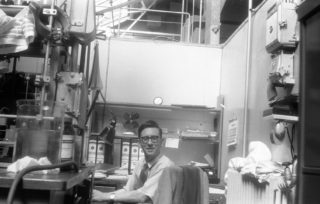 While I was a student studying chemistry at QMC London University, I worked as a lab assistant in the long summer vacation to Maurice Cain in 1962 and 1963. 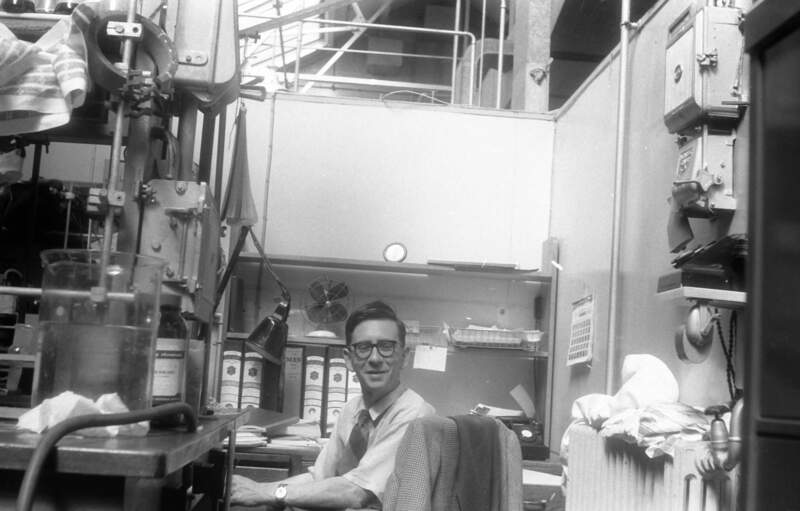 I loved the work, synthesizing completely new compounds and remember well the rather eccentric Dr Colin Bell, who worked in the lab next door. I also remember most of the compounds being based on sulphur, and the use of vile-smelling mercaptans was everyday life! My parents ostracised me due to the odour when I came home and made me eat in the kitchen alone! I also remember the great esprit in the labs and especially the analytical lab opposite ours. One of the lab assistants there was Pat Reavill, I think. We were all young then and had a lot of fun teasing and joking, but the work got done and done well, as far as I remember. Maurice was a very hard worker, but a good boss. I think he was a Conservative councillor, although I am no longer sure. On 28th June 2013 we celebrated the 75th Anniversary of the Tun Abdul Razak Research Centre (formerly BRPRA), which is now based at Brickendonbury, Hertford. We would be interested to hear from any former employees or their relatives, particularly those from the early years in Welwyn Garden City. Two more leading researchers whose names I remember from the early 50s were Bernard Archer and Geoffrey (??) Bateman. I remember the place exactly as in your photos. I have a photo somewhere of dad and a group of them taken out in Malaya. The “war” against the communist insurgents was happening at the time. Although quite a major affair for several years, it was never called a war but “The Malayan Emergency”. My father Gordon Cockbain was a researcher there for many years from 1947 when we moved to The Quadrangle in WGC – I was aged 3 at the time. I remember being taken to the Tewin Road works many times. Some of his colleagues I remember included Leonard Mullins, George Bloomfield (an amateur radio ham who took me under his wings) and “Mac” McRoberts. Mac had a daughter Bryony who was an actress- I liked the name and named my first daughter Bryony. My dad travelled to Malaya a lot to visit the rubber plantations, and later became the international secretary of the IRPRA. My one treasued momento of my dad is a dyak headhunter carved out of natural rubber, presented to him by a village chief in North Borneo who used to be a headhunter himself. Apparently his hut entrance was crowned with shrunken heads! Your pictures brought back many memories – and that smell of rubber everywhere!